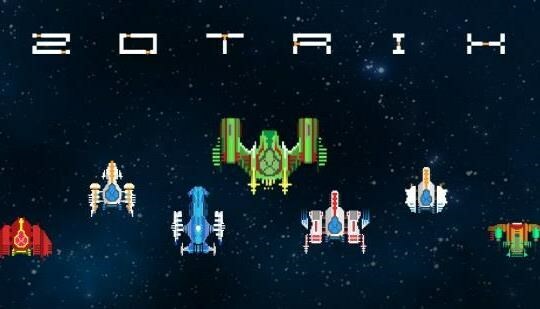 Zotrix calls itself "a modern take on the classic arcade shooter". This is the perfect description of what this game is and what it does. The way that Axiom Verge is a love letter to all things Metroid, Zotrix encapsulates what made the arcade shooter genre so great. The problem is that the game never pushes the envelope. Zotrix's modes consist of both Arcade and Story. 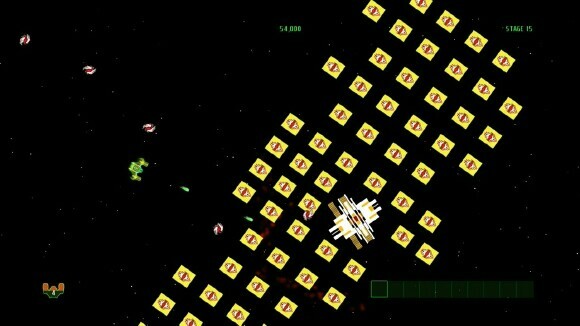 Arcade is a simple high-score run and Story tells the tale of humans and aliens in a constant conflict of transporting goods. Not much to it but the gameplay picks up for the lull of the story. 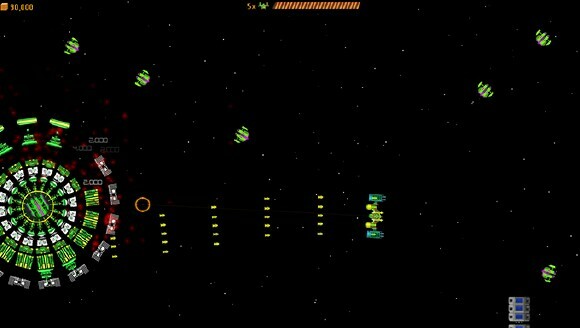 Zotrix works as a twin stick shooter, anything else would feel out of place because the dual stick action gives a sense of tension and urgency to gameplay. 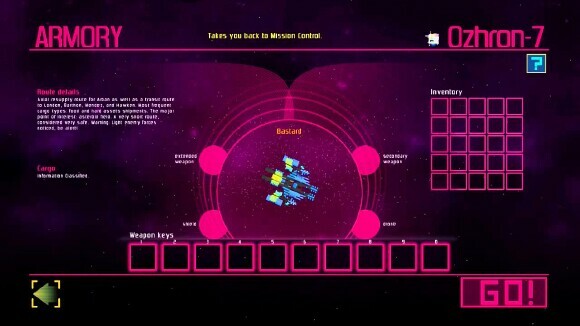 Enemies fill up the screen rather quickly depending on your selected level difficulty and your ship even floats back a bit with every bullet you fire, which is a unique touch. There's one distinctive feature that Zotrix has over any arcade shooter I can think of, the Space Dive. With a click of the right stick, your ship will dip into the background and avoid enemy fire. It's extremely overpowered though because for some reason enemies stop firing when you use it so you can just do it repeatedly without worry of taking hits. During missions you rack up cash to spend on upgrades to your ship including weapons and armor. I never felt the need to get any but it's a nice option to have available. At specific intervals, an ammo upgrade will drop from the top of the screen and upgrade your shot by one until you can shoot three bullets at a time. Going in to Zotrix, I expected my ship to get hit once and immediately lose. Thankfully that's not the case. There is a counter on the bottom of the screen during a mission and if you take enough hits the number will drop. If it drops to zero, game over. 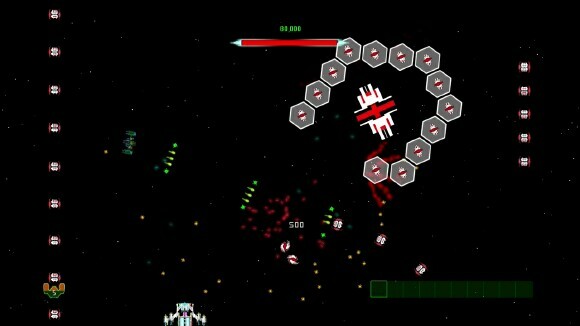 Zotrix looks like your typical space arcade shooter - dark and pixilated, it has a very Galaga-style visual to it. That being said, it looks good for what you're getting. However, the menu navigation is pretty overwhelming, I even got lost at first trying to get to the launch mission menu. The Zotrix soundtrack is hard to pin down because it comes off as sci-fi with classical undertones, very enjoyable to listen to though. Zotrix is a solid game, there's no denying that, but past the surface there doesn't seem to be much going on. 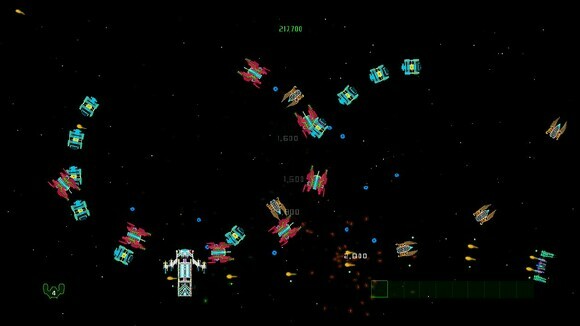 It promises an arcade shooter and that's what it delivers. No more, no less. 3 out of 5 TOV stars.